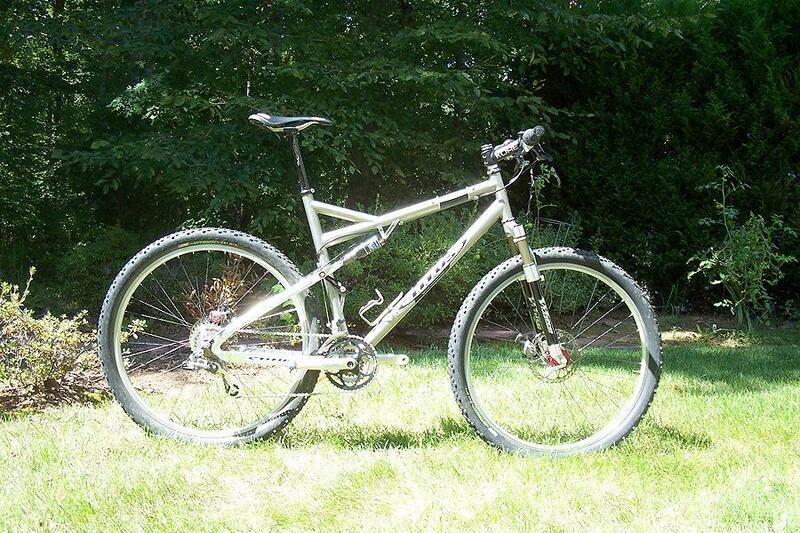 I’m seriously contemplating moving myself to a mountain bike with 29-inch wheels. So my first question is, do you buy into the various arguments leveled by the 29er proponents about the inherent superiority of 29ers over a 26er (e.g. – decreased rolling resistance on both rough and smooth trail)? I have been reasonably successful at long mountain bike races (I was third at the Durango MTB100 this summer, and 22nd, 17th, and 15th at the Leadville 100 in previous years). I don’t want to do anything to compromise my strength – long races with lots of climbing – and it’s darn near impossible to find out if a good 29er will help, hinder, or not affect my performance without buying one. Hence my asking the advice of people whose opinion I value. I can’t find any news articles relating to it, but according to Guitar Ted, Cameron Chambers of the Gary Fisher team won the NORBA 24 Hour National Championships in Spokane, Washington while riding atop a 29er. I’ll keep my eyes peeled for more reports on it. 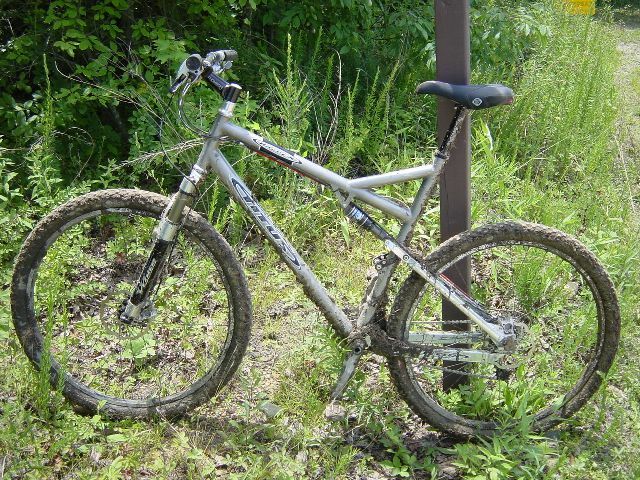 Taken from a post on the 29er MTBR forums… so definitely unsubstantiated. However I have been riding the 26 inch version of the Karmas for awhile and am looking forward to slapping the 29er version on my Gary Fisher X-Caliber. My email and response from Kenda. Very fast response I might add. Also, I’m not connected to kenda just love their tires. buying a 29″ MTB and I’m out of luck using my perfered tire setup. to express my support for any 29″ developement. Keep up the good work. around the middle of July. Please let me know if you have any other questions regarding this tire! I’m one of those people that once I know something, I assume everyone else knows the same thing. I guess that’s why it always cracks me up when I read different forums and read threads from people that have never ridden on a 29er bike but are more then willing to give their opinion on it. Haven’t used [a 29er]. I don’t think the benefits outweight the negatives. I think they would mess up the center of balance and considering mine is already high I don’t need more height. They look very cumbersome and unwieldy in my opinion, i’ll be sticking with 26″ until somethin else becomes the standard. Because of this I’m gonna start posting some Frequently Asked Questions about the 29er. If you have any specific questions feel free to email me. The worlds first unicycle frame built specifically for 29 inch wheels! Unicycle.com has specially designed and developed this Nimbus unicrown frame to accept large 29″ tyres. The Nimbus 29″ frame will fit the biggest 29″ tyre there is – the Schwalbe Big Apple tyre (29×2.35″) – with room to spare. Tyre clearance is no longer an issue with a Nimbus 29″ frame! Cromoly steel tubing is used throughout. The frameset is then finished with chrome plating for durability. Features split bearing housings and quality seat clamp and quick release. Comes complete with bearing cups and bolts. The inside diameter of the seat tube is 25.4mm, the new unicycle standard. You’ll need a 25.4mm seatpost to fit this frame, available in the Seat Posts section of our catalogue. The old 22.0mm diameter seatposts will NOT fit. Gee whiz, wouldn’t it be sweet to win this doggie? Aside from the big, 29″ smooth rolling wheels, Slingshot’s Farmboy features their unique “Sling Power” suspension system that’ll have you yelpin’ with joy when you’re cruisin’ the range. The 7005 aluminum front end is mated to a Reynolds 853 rear, and the whole shebang is trussed up with Shimano XT and Titec components. Glossy black and rearing to go, the Farmboy’ll do you proud. So giddy on up to your mailbox and send your raffle entry in now. Yee haw! This news site wants your email address in order to read it… check this link to get one that will work. The 54-year-old cycling icon [Gary Fisher] was in Arkansas on April 9 and 10 to seek a challenge of his own: the 60-mile Ouachita Challenge mountain bike race based in Oden. [Gary Fisher] and Cameron Chambers, a 23-year-old Kansan who races for his professional Subaru-Gary Fisher Mountain Bike Team, stopped in Little Rock on the first day. Richard Machycek, owner of Arkansas Cycling & Fitness, showed them around the Central Arkansas Recreational Pedalers (CARP) trails at Camp Robinson. During an autograph stop at Machyceks store on Bowman Curve in Little Rock, Chambers described the CARP trails as fun. “We didnt climb a lot but it looked like we could have climbed a bit if wed wanted to,” he said. The next day Chambers, who specializes in 24-hour races, beat 192 other riders to win the Ouachita Challenge on a $1,600 Fisher 2005 Paragon, a 29-inch hard-tail. He set a course record 4:39. Fisher led the pack ceremonially from the starting line and finished 42nd in just over six hours. Do bigger wheels on a mountain bike make a difference? Q. What do you think of the newer mountain bikes with 29-inch wheels? I’m thinking of upgrading my 1989 Fisher Hoo Koo E Koo for something more roadworthy, but that can still take the abuse of dirt trails. I was thinking of getting a cyclocross bike, but perhaps a 29-inch wheeler might be more suited to the kind of riding I want to do. A. The 29-inch wheels now on some mountain bikes (Gary Fisher makes several models) have two supposed advantages: One, you can use 700c tires on them (the road bike standard these days, referring to a 700-millimeter outer diameter), an advantage if you want to use a mountain-type bike for touring or recreational riding on asphalt. Two, the bigger wheel doesn’t hit obstacles like roots or rocks at such a severe angle as the traditional 26-incher, so in theory can roll over the obstacle more easily. But, is a 29-inch wheel “better” than a 26-inch wheel? Hard to say. Certainly, the 26-inch standard is arbitrary, simply being the original size of the fat tires when mountain bikes were first pioneered back in the 1970s. But the 29-inch sizereally just another way of identifying a 700c wheelis in itself quite arbitrary, its origins to some degree lost in the misty past of cycling. No one seems to have done any real empirical study as to what the ideal wheel size would be. I’m willing to buy into the idea that a 29-inch wheel rolls better in some instances, something that might be particularly useful for downhill riding. But it’s also going to be heavier than a 26-inch wheel, perhaps meaning greater fatigue on long rides, plus lesser acceleration. You are currently browsing the The Big Wheeled Ballyhoo blog archives for May, 2005.